Martin Shkreli, chief executive officer of Turing Pharmaceuticals, became over night one of the most despised figures in the pharmaceutical industry when just as suddenly he raised the price of the only treatment of a rare parasitic infection by 5,000 percent. The drug, Daraprim, was initially developed in 1953 and used to cost $1 a pill only a couple years ago. I have no idea what Shkreli thought would happen after he’d raise the price 500-fold in one go, but he got some serious backlash. “I think that it makes sense to lower the price in response to the anger that was felt by people,” he said while under the spotlight, but this promise made a month ago is still unfulfilled shattering whatever credibility Shkreli had left. “We … are concerned that despite a commitment by Turing Pharmaceuticals to lower the price of Daraprim (pyrimethamine) more than a month ago, the price has not been reduced nor have distribution issues been sufficiently addressed,” said a statement released by the HIV Medicine Association which represents more than 150 health groups. The patent for Daraprim has long expired, meaning manufacturers can make their own generic copies freely. Shkreli’s bet, however, was that other companies wouldn’t care to invest in a drug that sells to less than 10,000 individuals each year in the US. He also controls a tight distribution. 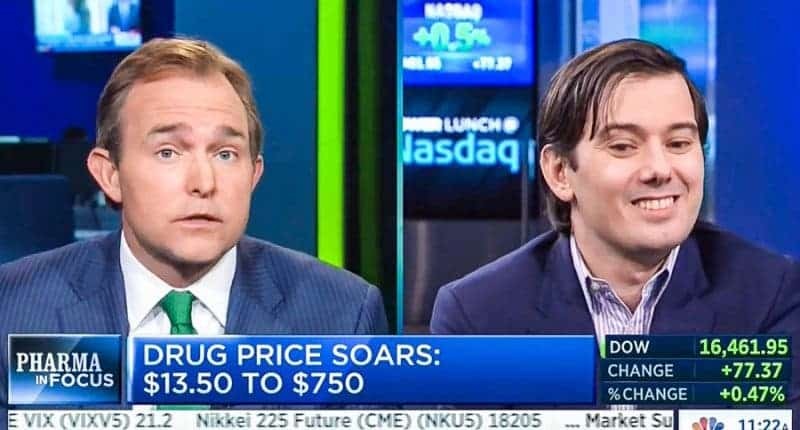 This Thursday, San Diego-based Imprimis Pharmaceuticals took matters into its own hands and announced an alternative to Daraprim. The drug will be sold as low as $99 for a 100-pill supply or less than $1 a pill. Daraprim costs $750 a tablet. Great way to ride the PR wave for Imprimis, but as long as this drug is accessible to the public at a reasonable price (yes, $1 is reasonable!) I can only rejoice. As for Shkreli, he must be ruined by now. Business execs, don’t be a Shkreli please.